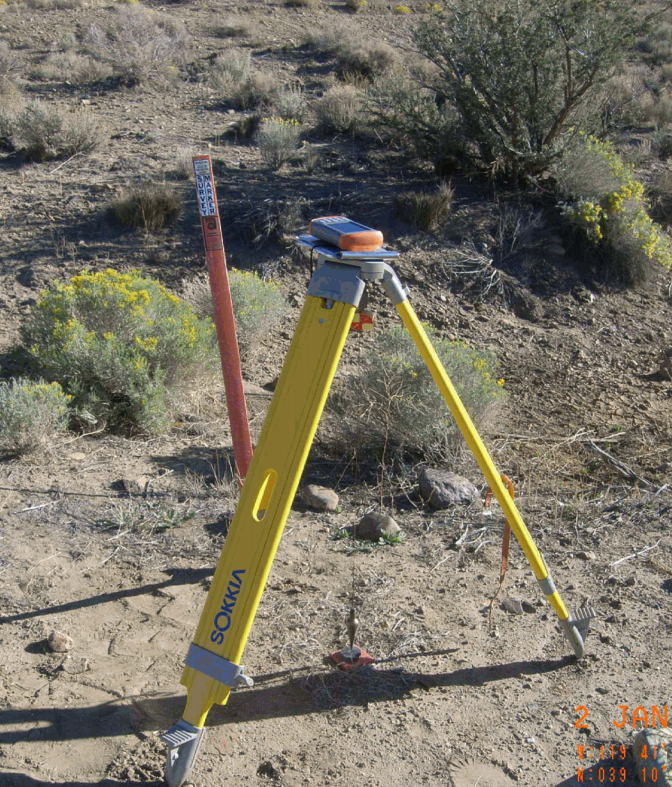 Ken Lucas, an engineer technician with the Nevada Division of Water Resources, recently tested the Archer 2™’s GNSS accuracy—with both GPS & GLONASS receivers enabled—when used with OnPOZ EZTag CE™ mobile software from Juniper partner, Effigis. Typically, the Archer 2 experiences 2-5 meter GNSS accuracy, but when used with OnPoZ EZSurv® Post-Processing Software, accuracy is improved to sub-meter (meaning that the results should have a margin of error of less than one meter). He made each data collection effort approximately 12 hours apart, each consisting of two five-minute point averaging captures*. *For those who may be unfamiliar with point averaging, this is when a GPS data point is repeatedly collected from the same location over a certain length of time. These points are then averaged to result in one GPS coordinate. Ken then post-processed the data he collected using 2010 CORS base station data from nearby GLONASS-capable and non-GLONASS-capable base stations, as shown below. 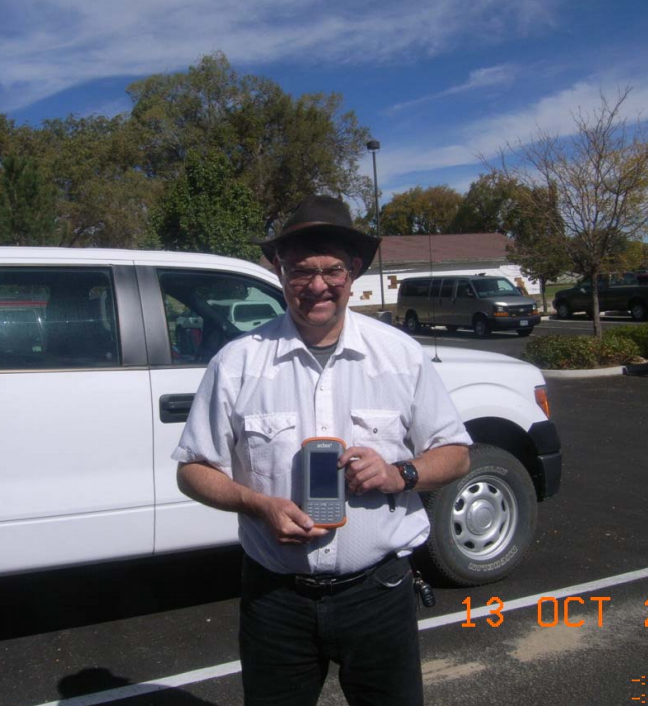 After processing only Carson City data using the non-GLONASS base station (27 kilometers away), Ken determined an average error of only 11 inches. He also captured elevation data at both monuments, and found the overall post-processed accuracy to be 17.4 inches. Ken’s results indicate that one factor that significantly affects GNSS accuracy is its proximity to a base station. Even without using GLONASS data, one can still achieve highly accurate results if a base station is located nearby. Another factor that influences GNSS accuracy is the amount of time over which data was collected. Ken’s data capture efforts were relatively short—only 5 minutes each—and he would most likely experience even greater accuracy if that time was bumped up to say, 10 or 15 minutes. 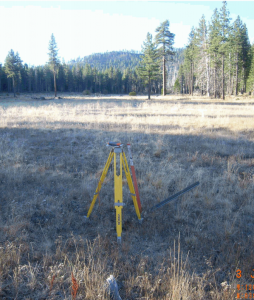 What other factors have you seen that can influence your GNSS accuracy? To learn more about the affordable geospatial software that Ken used, click here. Or, contact Juniper Systems for more information.